Crotch Strap from Childharness.ca. 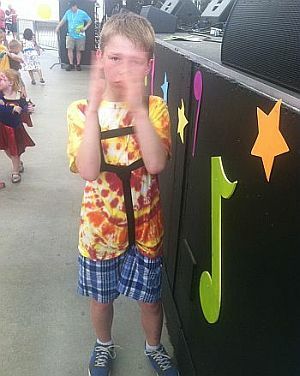 Crotch Strap for the Special Needs Safety Harness from Childharness.ca. 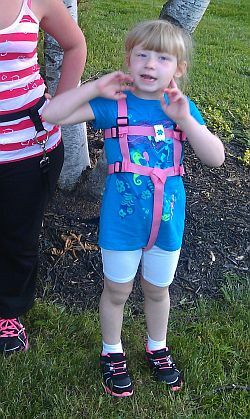 The Special Needs Safety Harness has 2 chest straps that comfortably and securely wrap around your child's torso. When the Special Needs Safety Harness is fitted on your child properly, the 2 chest straps are snug which makes the harness extremely difficult to slide up and over the head. 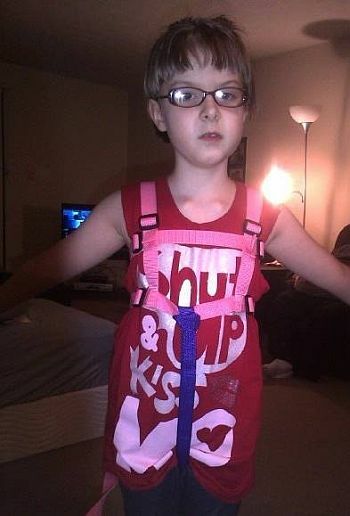 However, if you think your child will attempt to remove the harness this way, order a crotch strap to increase the security of the Special Needs Harness. Is a Crotch Strap necessary? 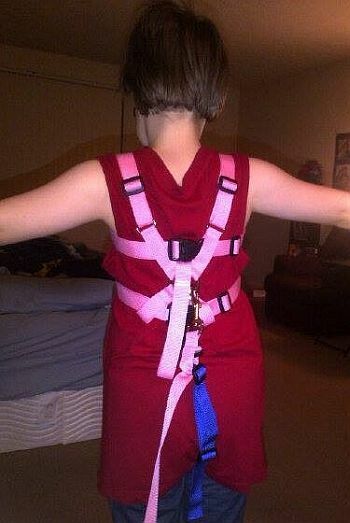 Crotch straps do add a degree of security to the Special Needs Safety Harness without bothering the person wearing the harness. Some customers order the crotch strap to have on hand "just in case". 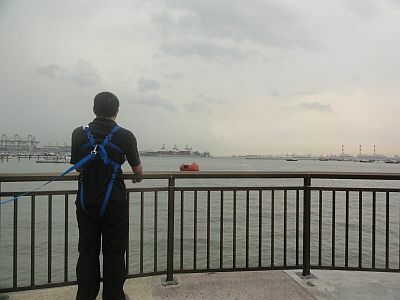 If the harness is for a male, usually 2 crotch straps are ordered and worn on either side of the inner leg to prevent pressure points on sensitive areas.